The premier designers of the accessory world have decided that all who love bags should also love a chic bicycle. From the Hermes bicycle to the Chanel bicycle to the Gucci bicycle, some of the best known brands have taken a chance on two-wheelers. Each previous design we have seen errs on the side of caution, but leave it to Dolce and Gabbana to spice things up. 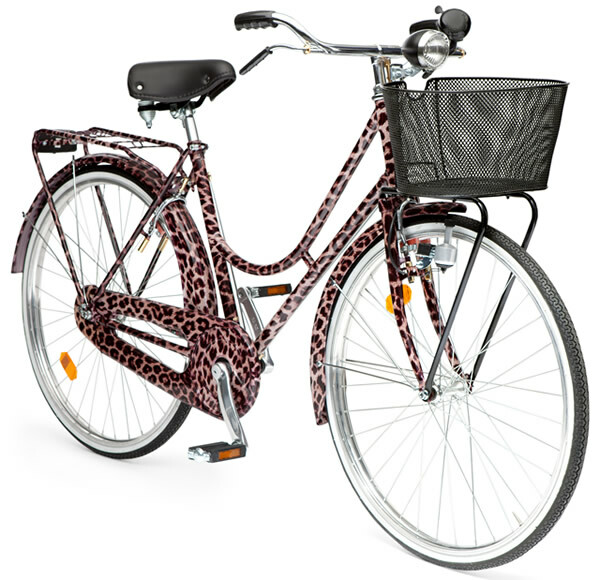 For Spring, Dolce and Gabbana released a limited edition Animalier Bicycle for the gals around the world that want to ride around town in style. Both Domenico Dolce and Stefano Gabbana share a passion for an athletic and healthy lifestyle, so applying their artistic touch to this bicycle makes sense. Of course, it wouldn’t be Dolce-esque without the animal print and 24k gold accents. If you’re planning to actually ride this bike, you should know that the bike is fixed-gear, with 18-radii wheels and pedal activated rear and head lights. Adding even more flare, there is a leather seat and black bell with a Dolce and Gabbana logo plaque along with a plastic coated aluminum basket on the front. Of course this bike is funky, of course it is ornate, and if it weren’t, it wouldn’t be Dolce and Gabbana. 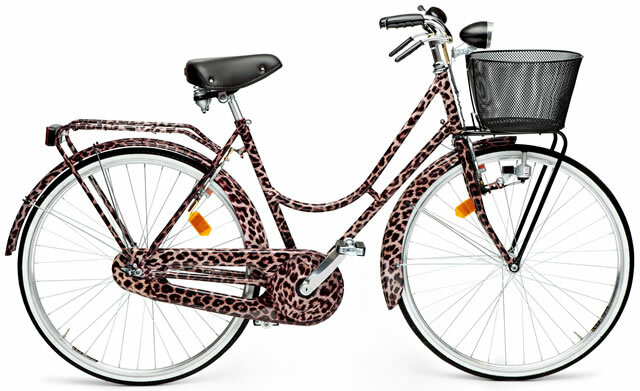 Price is 1700 Euro and the bikes are sold at select Dolce & Gabbana boutiques worldwide.